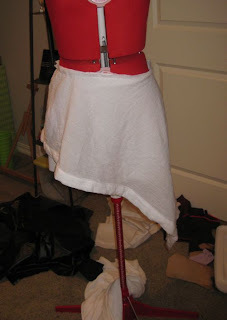 This is somewhat last minute, but I'm working on a new costume for Halloween, just to see if I can make it that fast, given that my schedule over the next couple of weeks is fairly tight. Follow along with me on my project! The first step is RESEARCH. 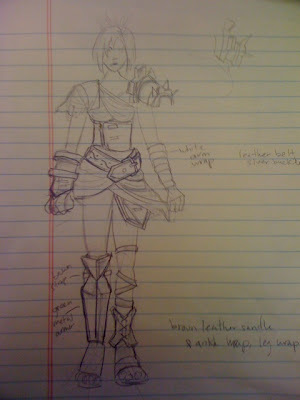 I found two great pictures of the character online. 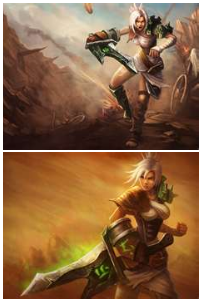 Both resources are artwork for the videogame League of Legends. My preferred method of online searching for images is a Bing Images search. The next step is to break down the costume into different elements. I find that making a quick sketch of the character helps me do this because while I am sketching I am examining the reference pictures I have and going over every detail to imagine a)how that piece should work/look and b)what I could make it out of. Sometimes when you have multiple layers of clothing and accessories you have to use your imagination to decide what is underneath, and what is all one piece vs. separates. Next, I make a timeline, creating a chart with separate row for each costume element and a separate column for each time period (here, each column is 2 days). Then I fill in what will do on each day. Later I will update by changing the cells to green and marking them DONE. 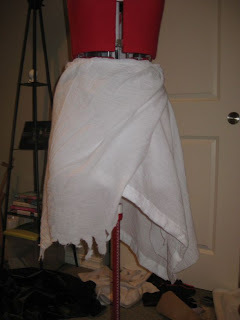 Then I made the underskirt for the wrap skirt. 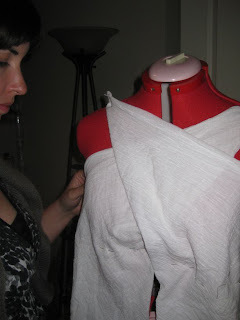 Then I added another layer on top and ripped up the bottom in a few places. I'll need to distress it more later, maybe tea-stain it. 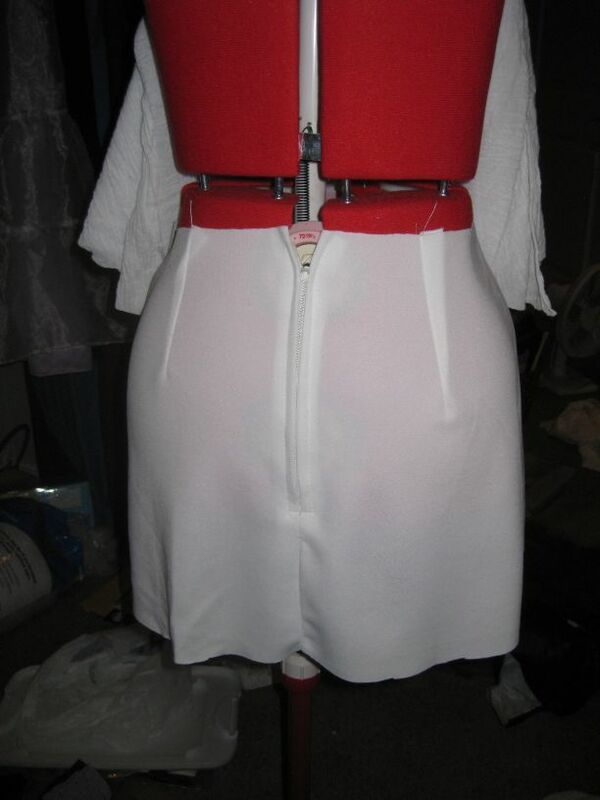 Then I added a back to the top and found a belt that works. This almost looks like a costume already! Oh, and I should mention -- I am not buying ANYTHING for this project. I think I can make it with materials I already have at home. 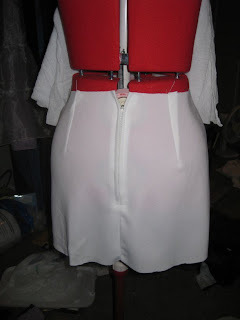 That white fabric I used for the underskirt? Leftover from making Eowyn's white dress from Lord of the Rings, which I made back when the movies were still in the theaters. 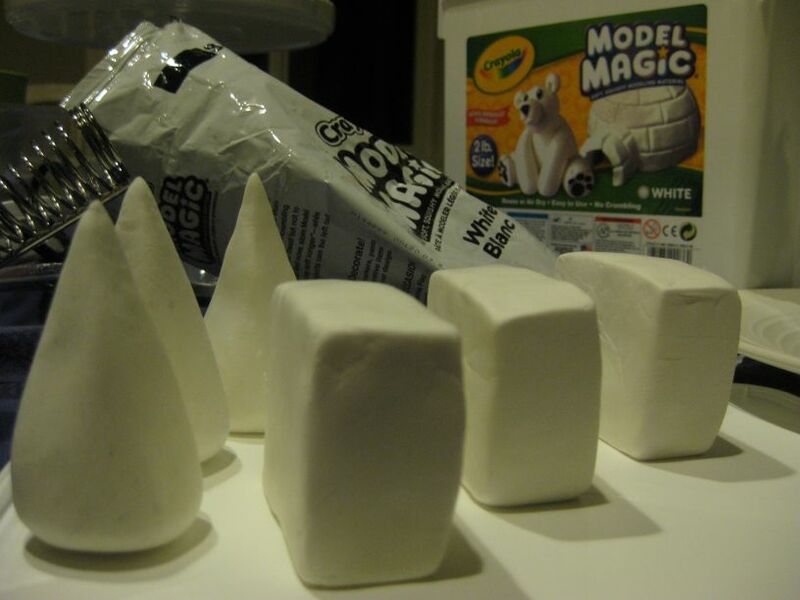 Tub of Model Magic? Leftover from making my [Staff of Infinite Mysteries] for my Warcraft Priest costume. The belt? Bought that a while ago for a pirate costume. It was on clearance. 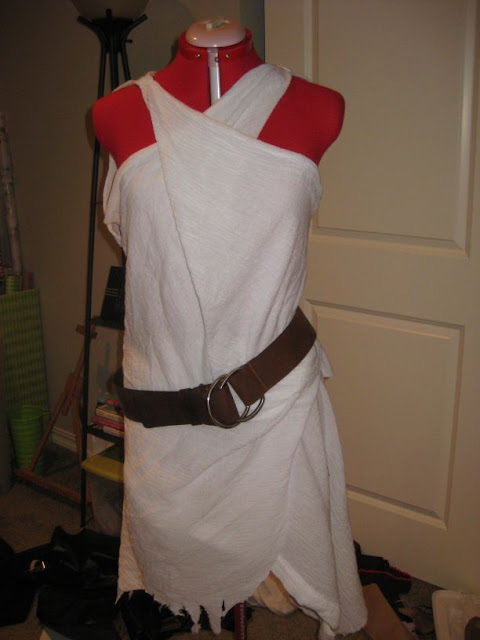 You know, videogame costumes are the best because you get to decide how it should look when translated into actual fabric/materials. On the other hand, Star Wars costumes are SO SPECIFIC that I would spend hours browsing fabric stores just to find the perfect fabric... that still wasn't exactly what I wanted.